Welcome to the Spring 2012 issue of The Idaho Librarian! We feel that the new platform on WordPress is working well in presenting the Idaho Library Association’s journal publication. Please enjoy the articles and feel free to comment or share using WP’s features. Articles prior to Fall 2011 are archived HERE. Your feedback on our new format is welcome; just email the editor and let us know what you think. Libraries are noted for sharing resources and look for ways to serve the most users in the most economical fashion . Library administration and staff are experienced in creating cooperative agreements to meet goals and improve service. They partner to form consortia to increase purchasing power, share bibliographic catalogs,as well as lend and borrow materials reciprocally through interlibrary loan. Entering into a joint-use agreement with another organization takes partnership and cooperation to the next level. Joint-use libraries serve two or more distinct user communities through shared governance and cooperation. This idea has been around for a long time but has become more familiar to the public and library professionals with the completion of some major joint-use projects. There are different models of joint-use libraries but, in general, they operate from the same building using a combination of staff from both organizations. There are many advantages to libraries combining resources into a dual-use facility. Joint-use libraries capitalize on using each other’s assets and complement each other’s strengths and weaknesses. For example, one library may have a larger staff and collection; whereas, the other library may have land available to build a library. Combined libraries provide longer hours of service, provide access to more resources, and offer increased programming options to library users. The staff of joint-use libraries grow through the cross-sharing of ideas and skills. There are an array of joint-use agreements formed today between libraries, including public and academic libraries and school and public libraries. Strategic partnerships between joint-use libraries are complex by nature even on the smallest scale. There are many important legal and operational considerations regarding the merger of separate institutions. Difficulties arise despite best efforts to anticipate and head-off potential problems with the shared governance model. Merging staff into one harmonious group is tricky and is one of the largest challenges for joint-use libraries. Different staffing and pay structures, varying organizational cultures, and dissimilar staff practices or role confusion factor into the joint-use facility’s ability to assimilate staff into a cohesive, positive workforce. This annotated bibliography provides suggested reading material to library administration and staff considering a strategic alliance with another library. The readings are divided into four areas. The first article provides basic information on important considerations that must be addressed when forming a joint-use library partnership. The second section provides articles with research findings on joint-use libraries. The third section provides articles with examples of actual joint-use partnerships. The final article takes a look at the future of joint-use libraries. Will this model grow in popularity? Henderson, J. (2007). Exploring the combined public/school library. Knowledge Quest, 35(3). 34-37. Henderson discusses the basics requirements and issues important to the merging of two libraries into a joint-use facility. The early planning process requires each entity to define their respective roles and input should come from all constituents including the public. An open discussion that articulates needs and concerns and discusses strengths and weaknesses helps create a win-win situation for both entities. Careful consideration of location of the new facility is important. School libraries should be close to classrooms; whereas, public libraries should be located in an active part of the community. Architects and staff need to consider important aspects respective to both user communities such as entrance areas, parking, children and adult space, outdoor lighting, meeting rooms, hours of operation, and more. Communication and commitment of staff is essential to the success of the venture. Staff and management need to work out the details of the daily operations of the joint-use library. Contracts detailing the specifics of funding are critical to the success of the operation. Other important requirements include developing a collection development policy that addresses the needs of all patrons and includes details of the physical arrangement of the collection that provides the best access to library users. For example, are the collections of each institution combined or kept in separate areas? The final component is to create a formal and informal process to continually evaluate the partnership. The ongoing feedback is necessary to improve the functionality of the library and best serve the needs of the users. This article was selected because it addressed basic concerns for the formation of a joint-use library. It seemed like a good introduction to set the stage for more complete research articles and specific examples of joint-use facilities. Calvert discusses how the organizational culture, professional ethics and staff attitudes affect the success of a the Waitakere Central Library joint-use library in Auckland, New Zealand. This library exists as a shared facility between the Waitakere Public Libraries and the Unitec Institute of Technology. The building is located on Unitec’s Henderson campus. A common weakness of joint-use libraries is the inability of staff for the different institutions to work together harmoniously. Calvert studied the cultures and values of the staff of both partners, using focus groups in order to obtain qualitative information that provided insight into how the separate groups think and feel. There are many factors that contribute to a shared staff’s inability to function cohesively within the joint-use library. Librarians learn their roles through organizational culture and through interactions with staff and customers. Focus group participants mostly agreed on their top three important values as librarians; however, academic librarians valued information literacy and the public librarians placed more value on intellectual freedom. Calvert’s findings showed a lack of formal and informal communication between the partners, which reduces the likelihood of cultures successfully uniting. A lack of integration between the staff of these libraries decreased the success and benefits that comes from sharing ideas. Disagreement occurred regarding customer service outcomes. The public library staff felt library users should leave with something and the Unitec staff focused on educating users on how to find the information themselves. The joint-use library lacked a shared collection development policy and each partner had different philosophies in regards to such policies. For example, the public library believed in aggressive weeding practices and the Unitec staff preferred to keep older materials for future research value. The Calvert article was selected because of the qualitative research on how cultures and ethics affect staff integration of joint-use libraries. Matthews, K. (2008). The critical success factors for school and community joint use libraries in New Zealand. Australian Public Libraries and Information Services(Aplis), 21(1), 13-24. There are more than 30 joint-use libraries in New Zealand who serve communities, ranging in population from a few hundred people to several thousand. These joint-use libraries generally take the form of a combined school and public library. They fill a void, particularly in rural areas, following the loss of major financial support by the National Library . Matthews discusses research on the factors critical to the success and effectiveness of New Zealand joint-use libraries and presents a comparison of those success factors with success factors of joint-use libraries on the international level. The study surveyed as many of the dual school/community libraries as possible with three goals in mind for the project: 1) determining critical success factors important for the success of joint libraries, 2) determine if these factors vary significantly from factors identified in the international literature review, and 3) determine how to plan and manage to maximize future success. Three of the surveyed libraries were chosen to provide additional research data by participating in observations and interviews of staff. Matthew provides a general summary and analysis of the survey data. The author concludes there are similar success factors between New Zealand joint-use libraries and those identified in overseas literature with the exception of a stronger dependence on volunteers in New Zealand. The author’s overseas literature review found more disharmony and failure in joint-use libraries than what was found in the New Zealand survey results. Lastly, the outlook for joint-use libraries in New Zealand remains positive if the survey results are reliable and if all planning and management success factors are observed. This article was included for its research on success factors and because it provided an international perspective. Fontenot, M. J. (2007). A case for an integrated model of community college and public use libraries. Public Libraries, 46(4), 46-49. The College Hill Library in Colorado is used as a case study for Fontenot’s article on joint-use libraries. This partnership was formed between the Colorado State Board for Community Colleges and the City of Westminster to provide a dual use library to serve the communities of Westminster and the Front Range Community College. The library opened in 1998 and the costs were shared sixty/forty with the community college assuming the larger percentage. Fontenot identifies challenges that must be addressed for a joint venture to be successful. Communication and planning are critical to success. Staff from both institutions should be involved in planning and encouraged to interact with each other to increase staff buy-in of the project. Good working relationships between staff and administrators is vital. To facilitate communication, regular staff meetings are suggested. Academic and public librarians can both learn valuable skills by working with each other’s patrons. A public librarian can learn to educate the user in becoming self sufficient when seeking information and an academic librarian can learn to adapt to the high volume requests and the need to find information quickly common to public libraries. Patrons benefit by having more access to different types of material and professional expertise. Children who use a library of this type are exposed earlier to post-secondary education than children than what is considered usual. This article was selected because it provided an example of a successful partnership between a community college library and a public library and discussed important challenges that must be overcome. Marie, K. L. (2007). One plus one equals three: Joint-use libraries in urban areas–the ultimate form of library cooperation. Library Administration and Management, 21(1). 23-28. Joint-use libraries involve different types of partners and have unique structures based on their community needs. The author provides two examples of successful large-scale joint-use academic and public library facilities and the issues they faced: Nova Southeastern University/Broward County Public Library in Fort Lauderdale, Florida and San Jose State University/San Jose Public Library in San Jose, California. Both partnerships overcame both similar and unique challenges to make their partnerships a reality. Nova Southeastern University serves a private enrollment of 29,000 students and Broward County has a population of over 1.7 million residents. After two years of planning, they combined forces to build a 325,000 square foot library, which is one of the largest joint-use libraries in the world. Their 54 page agreement addresses issues such as ownership, funding, staffing, job functions, and more to ensure effective and relevant service and programming to all library patrons. San Jose State University enjoys a population of about 28,000 students and is located centrally in San Jose, which has a population of 900,000. The initial idea to form a joint-use library began in 1994 but serious efforts did not begin until three years later when funding problems became more serious for the city. The nine story building enjoys 477,000 square feet and cost $177.5 million. This joint-use plan received much more public opposition than that of Nova Southeastern/Broward County but is a success with 12,000 patrons visiting the library on a daily basis. This article was included because of its focus on two large-scale models of successful joint-use libraries. Powers, J. (2007). A library for all. American School Board Journal, 194(8), 50-51. Different types of entities combine forces to establish joint-use libraries. Powers discusses a joint-use agreement between a county library and a public school district. The North Valley Regional Library serves two small communities north of Phoenix, Arizona and is the first joint-use library in the district. The school district initially approached the community developer and library district to establish the joint-use library that would also provide service to school-age students. The intergovernmental agreement provides details on financial terms for maintaining the facility and for collection development. Planning research of other similar joint-use libraries discovered important items necessary to ensure success of this joint-use school/public facility. The library should be separate from the school and have separate entrances. The library needs to be visible from the street and have available parking. School monitors should be available following school hours to help manage the post-school rush hour traffic. The joint-use facility has been acknowledged by the industry for its focus on students of all levels and to the community and won a citation from judges in the 2006 ASBJ’s Learning by Design contest. Programs for all ages from children through adult are part of the success of this library. They’ve forged strategic partnerships with the Phoenix Zoo and Phoenix Suns basketball team. The efforts of North Valley to create a successful joint-use library partnership has led it to become a prototype for other joint-use facilities. This article was selected for the bibliography because it was a forerunner and model in its community in the creation of joint-use libraries. Smith, D. A. (2009). Joining together for a new era in Hull’s history. Library & Information Update, 8(1/2), 62-63. The Heritage Lottery Fund grant and matching funding provided the money necessary to create a joint-use partnership called the Hull History Centre. The likelihood of a library to win a Heritage Lottery Fund grants is slim. Hull enjoyed the key support of community members and many important constituents, including elected officials, library/council managers, and university administrators who are committed to ensuring access to the rich history of Hull. This new facility combines the Local Studies Library, the Hull City Archives, and the University of Hull Archives collections. The building is located in the center of the United Kingdom city of Hull. Combining the three collections under one roof provides better access and service to patrons and allows for more hours of operation. Staff includes librarians and archivists and maintain their original job titles and are cross trained to work between the disciplines to provide efficient service to the public. The building enjoys a green space, which is becoming more and more unusual for city facilities. The facility offers a variety of spaces. There’s a lecture hall that seats 120 people, a library area, teaching and activities spaces, archival or rare item areas, and microform/IT space. This article was selected as it demonstrates the importance of advocacy groups and provides an example of different entities combining to provide a joint-use facility that is important to the local community and beyond. McNicol, S. (2008). A whole in one. Public Library Journal, 23(4), 20-25. McNicol provides the history of joint-use libraries and comments that while they have been around for more than a century, the awareness of this library model has recently increased due to the completion of some large scale joint-use library projects. There are different models of joint-use libraries. Examples include: school/public, university/public, college/university, college/public, government/university, and tourist information/public. Most agreements are formed between two entities; however, agreements between multiple entities are becoming more popular. Joint-use libraries benefit the community by encouraging an inclusiveness and providing access to an increased amount of information and resources to users that would have been otherwise denied. McNicol believes that the inclusive nature of a joint-use library model improves community cohesion and builds a fairer, more equitable society. For example, in a public/university model, the public library patrons would have improved access to scholarly research material than what would be accessible to them in their local public library. Financial constraints will result in the formation of a larger variety of joint-use library models with a focus on cooperation between different professions and sectors. These will be collaborative and innovative models of service that bring diverse user groups together in one environment that is flexible and responsive to their needs. Future models will be user-centered and share a vision and commitment to service. Their design will not resemble that of a particular type of library; they will have their own unique design that appeals to and best serves their broader and more diverse user base. This article was included because of the author’s opinions regarding the future of the joint-use library model. The success of joint-use libraries is reliant on many factors. Proper planning and the successful integration of all staff are two crucial components to creating a win-win environment for both partners. The process is complex; there are successful joint-use models and there is some research available for those institutions considering this alternative structure. Tough economic times may necessitate the need for more libraries to look at these partnerships as a viable option for providing library access and service to communities. Cheryl Hoover has an MLS from the University of North Texas. She works at the Montana State University –Billings Library. Traditionally copyright has been inflexible, creating few opportunities for those who wish to share or use a new work. Copyright is automatically assigned as soon as an original creation is fixed in a tangible medium. Although registering a work with the U.S. Copyright Office may be beneficial, is not required for an author to receive the rights and protections provided by the federal law. Under this system, anyone wanting to use a creation is limited to the allowable uses outlined in the law or must justify their use through a fair use analysis. All other applications of a work are only allowable if permission has been granted by the author or the organization that owns the rights to the work. There is no way for an author to communicate other uses that are acceptable to them. In an information world that now thrives on the sharing and exchange of new information, the restrictions of copyright are onerous and confusing. It was because of these limitations that the desire for something more proactive came about. Authors needed a system that would allow them to say up front what they were willing to let people do with their work. As a result Creative Commons licenses were developed. Developed by Creative Commons, a non-profit foundation, the licenses are legal agreements that communicate what a person can do with a specific work. Creative Commons licenses however do not replace the protections provided in the U.S. Copyright law. Those rights are still retained by the copyright holder and should be respected by anyone wanting to use the work. With the addition of a Creative Commons license, an author is now able to communicate other uses that are acceptable to them. They help bridge the gap between the “all rights reserved” environment established by the existing copyright law and the free for all atmosphere prevalent on the web. Attribution: Regardless of which version of the Creative Commons license that is chosen, all licenses require the user to attribute the work to the original creator. NonCommercial: Users are limited to only those who wish to use the work for non-profit purposes. ShareAlike: Users may only use the work if they also share the modified work under the same terms. NoDerivatives: Authors only allow their work to be utilized as it is. No one may revise or modify the original creation. Each of the Creative Commons licenses has associated with it an icon, specific legal code, a human readable version of the license known as the Common Deeds, and a machine readable layer which enables search engines and other digital tools to identify the rights assigned to a work. The legal code and Common Deed detail exactly what is required if a Creative Commons licensed work is to be used. 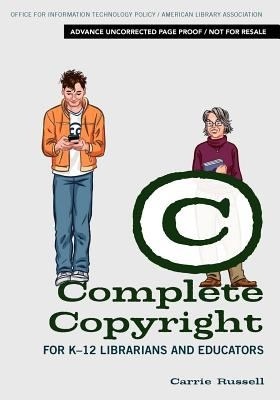 To release a work with a Creative Commons license, an author simply needs to select a license and mark their creation, which may vary depending on the format. To help authors assign the licenses to their works, Creative Commons created an easy to use License Chooser tool and released a brochure explaining how to mark a work. The use of Creative Commons licenses is becoming increasingly widespread and many tools have been developed to help librarians and patrons find these resources. The Advanced Search features in the main Google site, Google Images, and Flickr all have an option that allows users to limit their search by usage rights. YouTube allows users to filter their search results to videos that have been released with a Creative Commons Attribution license. Other sites such as Wikimedia Commons, OER Commons, and Jamendo specifically focus on resources that are openly available through Creative Commons licenses. In addition to these resources, there are many other sites that have incorporated Creative Commons content into their services. Libraries are also finding the use of Creative Commons licenses valuable in their work. Many organizations such as the Hood River County Library District and Texas State Library and Archives Commission have incorporated Creative Commons licenses into their public documents. MLibrary at the University of Michigan, Harris County Public Library and UCLA Library all make the content of their websites available under a Creative Commons license. Both the University of Florida and Red Deer College Library include Creative Commons licenses on their LibGuides. Many institutional repositories use Creative Commons licenses to disseminate their university’s research. ScholarWorks at Boise State often uploads faculty scholarship published with a Creative Commons license. Similarly Pacific University and Indiana University allow students to disseminate their works with a Creative Commons license. Other libraries such as the Knox County Public Library and the Cumberland County Library System include Creative Commons licenses on their blog posts and podcasts. In addition to helping patrons find needed resources and openly sharing their knowledge, librarians have a terrific opportunity to talk with their users about copyright, intellectual property, and open access issues. Although many patrons have borrowed and shared all types of content, few understand the legal and ethical implications of their actions. In contrast librarians deal with copyright issues in many areas of their work. Library staff working in acquisitions, reserves, interlibrary loan, institutional repositories, and instruction design, confront copyright issues on a regular basis. This experience and expertise can be used to help patrons as they distribute and utilize creative works. There is no doubt that the world of information has changed dramatically. Patrons want more content and less barriers. Creative Commons licenses provide librarians ways to meet both needs, expanding the resources available to their patrons. Copyright is a complex subject, and practical books that address copyright issues in day-to-day settings are few and far between. Carrie Russell’s Complete Copyright for K-12 Librarians and Educators, however, is one of the practical reads. Written for K-12 teachers and librarians, and using a school as a backdrop, the book addresses many of the common and new copyright questions that arise in the K-12 setting in a light and engaging manner. In her conversation with the reader, the author acknowledges the complexity of copyright while offering evidence and suggestions on the best interpretations available. Carrie Russell speaks from extensive experience. She is the director of the Program on Public Access to Information in the Office of Information Technology Policy of the American Library Association. As part of its concern with access to information, the Program monitors copyright and its role in providing public access through fair use. In her introduction to the book, Russell mentions that many of the issues covered were originally questions she was asked in earlier presentations. The strongest element in the book is the review of current uses of copyrighted material, from digitized books to downloading music and everything in between. Every chapter is presented in terms of activities that are common in schools but can be murky in terms of copyright. One example is the music video. Many students enjoy making their own music videos, using copyrighted music and/or copyrighted images. Such videos can be used as projects in classes, so understanding their copyright implications is essential. Another strength of this book is that the author presents copyright questions in terms of a conversation between the teacher and the school librarian. Both are encouraged to conduct a fair use evaluation of any proposed use of copyrighted works. In this way, the librarian does not always say “no,” and the teacher is encouraged to examine her instructional goals as part of the evaluation. The author places a strong emphasis on fair use and the practice of conducting fair use evaluations for any proposed activity involving copyrighted material. This emphasis is in purposeful contrast to reliance on the guidelines that have directed copyright policies in the past. In fact, the author notes that guidelines are not law and do not carry the force of law. She also points out that though guidelines were written as a safe haven, and were never meant to represent the maximums allowed under the fair use doctrine, they have, nevertheless, been interpreted in that way. Too many school districts and teachers are reluctant to test fair use beyond the guidelines, so the institution and its instructors have limited their teaching options. The supplemental material in the book includes information on a 2008 copyright survey sent to members of LM-Net (discussion group for school library media specialists). The copyright guidelines mentioned above are also provided as appendices. There are several sets of guidelines that have been developed in the years since the Copyright Act of 1976, varying from interlibrary loan to multimedia projects. Regardless of the author’s emphatic support of fair use, the guidelines are part of the history of copyright policy, and teachers and librarians should be aware of them. The only weakness in the book is the placement of information about copyright lawsuits so early in the text. The complexity of copyright litigation is stultifying, and introducing it in Chapter 2 might discourage further reading. Any library that provides support for K-12 teaching would benefit from acquiring this book. School libraries are the obvious first choice. Universities and college libraries that support departments of education should also consider including this work in their teacher education collections as a resource for pre-service teachers. Kay Flowers is currently the Director of Academic Programs in the Student Success Center at Idaho State University. The children’s librarian should not be the only professional sharing stories in the library on a regular basis. According to author Kate Marek, a Professor at the Graduate School of Library and Information Science at Dominican University, those with library leadership positions will want to increase their organizational storytelling ability in order to more successfully communicate values and vision and to initiate change. 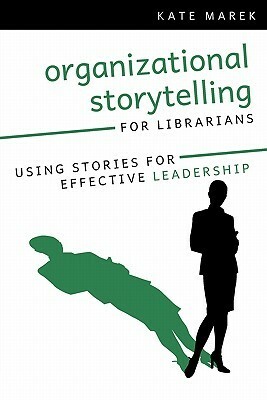 In Organizational Storytelling for Librarians: Using Stories for Effective Leadership, Marek points out that the power of narrative comes from the storyteller’s ability to tell his or her own authentic stories in order to create meaningful bonds and to inspire people. Marek’s intent is to enable librarians to begin developing and utilizing leadership storytelling skills, and through her fluid writing style, solid content, and efficient organization, she succeeds with this endeavor. She writes, “You must engage a listener’s heart as well as his mind if you truly want to generate commitment for change or for a new idea. Stories pull the listener in and make individual human connections that data and information alone cannot make” (9). The author acts as a motivational cheerleader inspiring the reader to discover the simple power of story that is in each of us. She divides organizational storytelling into four basic concepts that can be easily used by managers based on their library’s needs: communicating visions and values through storytelling, using stories to navigate change, using stories to build community, and telling stories through buildings. An example of some of the useful advice Marek gives is “Telling your own personal story with honesty and humility, especially in terms of things you have learned along the way, opens you up to connections with others and at the same time provides a unique mechanism for them to understand your values and priorities” (22). Marek sees the vital importance and potential power of libraries in the community and explains that “the library is the perfect place to facilitate sharing [of stories]. In doing so, the library expands its role from a community information resource to a key player in transforming community” (51). Throughout the book, the author gives real-life examples of library leaders who have used storytelling to improve their position and that of their library in the community. For those who need a little more confidence boosting in the art of storytelling, the last chapter includes practical tips on how to build and strengthen organizational storytelling skills. Written in a clear and straight-forward style, this relatively quick read is enhanced with chapter notes, a lengthy current resources list, and an index. I would recommend that any public, school, or academic librarian make room for it in the staff resource collection, especially if he or she wants to find new ways to communicate ideas and to build trust whether it is with coworkers, a library’s governing body, or with the public. Laura Abbott is the Children’s Services Librarian at the Nampa Public Library.